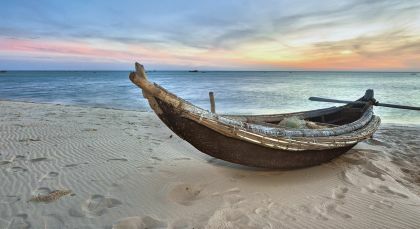 Vietnam tours are best experienced privately so you can take in the vivid daily life. 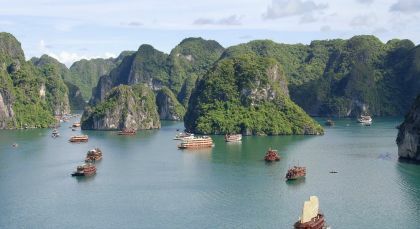 This unique vacation takes in the bustling cities of Hanoi and Saigon as well as an exhilarating boat ride through the famous Halong Bay! 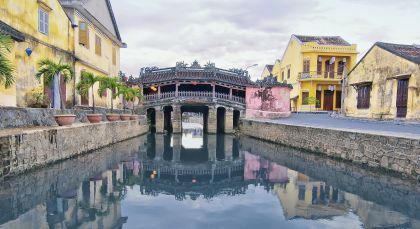 Also on your itinerary are the heritage cities Hue and Hoi An, famed for the cultural and culinary experiences they offer. Before you return, relive your journey with a final sampling of Vietnamese flavors, on a special dinner arranged for you with our best compliments! 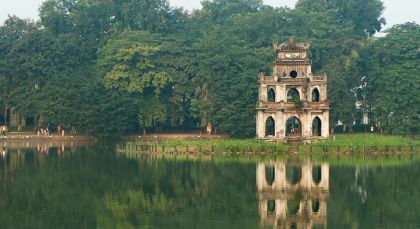 Immerse yourself in Vietnam’s rich imperial heritage on this tour of historic Hué. The town is dotted with ancient pagodas, royal tombs, and the remains of an imperial stronghold. Set off after breakfast to visit Hué’s iconic, 17th century monument of Thien Mu Pagoda, whose narrow, seven-storied structure stands atop a hill by the Perfume River. Afterwards, you could either explore the UNESCO World Heritage Site of the Hué Monuments centered on the Imperial Citadel, or the royal tomb of Emperor Minh Mang. At the Imperial Citadel, be dazzled by the regal architecture and royal gardens. Set amid a forested area, the Royal Tomb is equally spectacular. 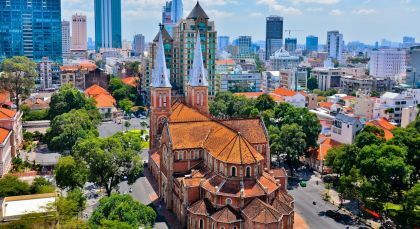 In the afternoon, drive down to the charming little village of Duong No, which was home to the young Ho Chi Minh. Walk over to the ornate Thanh Toan Covered Bridge spanning the Perfume River, featuring traditional Asian design and a timber arch dotted with ceramic elements and elaborate calligraphy. (Best Time to Travel : Oct – Mar;Times : 9 AM – 3 PM;Duration – 5 hours;Private Activity;Fitness level: Easy). The team at Enchanting Travels never fails to amaze me. I truly appreciated having a stress-free abroad experience that had been perfectly tailored to my passions and interests. Throughout the entire process, the team could not have been more helpful and considerate. 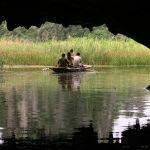 The drivers and guides knew all the hidden spots, best times to tour the sites to avoid crowds, and enabled me to have a genuine Vietnamese experience. I can’t wait for my next adventure.